How Does Early Retirement Affect Social Security? Many adults look forward to retirement. And some wouldn’t mind leaving the workforce ahead of schedule. But few people think about the drawbacks of retiring early. Few realize that an early retirement might affect their long-term financial plan and their access to certain benefits. Read on as we look at the impact of retiring early on collecting Social Security. Check out our Social Security calculator. When Can I Get Social Security? 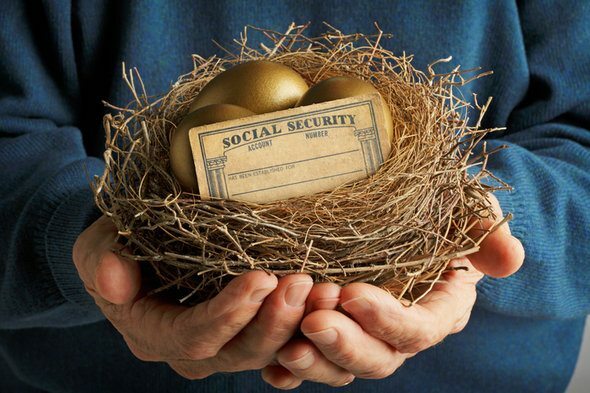 The earliest you can start receiving Social Security benefits is age 62. But the earlier you elect to receive your benefits, the smaller your monthly checks will be. To receive full benefits, you will have to avoid collecting Social Security until you reach your full (or normal) retirement age. For folks born in 1960 or later, that age is 67. If you decide to retire early, you have the option of delaying your Social Security benefits. This strategy may work particularly well for married couples. How Much Will I Receive From Social Security? If you’re wondering how much you’ll get from Social Security, you can check out our Social Security calculator. It estimates how much you’ll earn depending on your annual income, the year you were born and when you choose to start receiving benefits. Social Security benefits are also calculated based on your highest 35 years of earnings. That’s how the Social Security Administration comes up with your average monthly indexed earnings (AIME). If you retire too early (i.e. before earning a paycheck for at least 35 years), you’ll receive less Social Security. That’s the downside to an early retirement. By retiring early, you’ll also miss out on the chance to claim delayed retirement credits. If your full retirement age is 67 but you avoid taking Social Security until you turn 70, you can claim 124% of your full monthly benefit amount. Let’s take a closer look at how an early retirement could reduce the size of your Social Security check. If you retire early, your benefit gets reduced by 5/9 of 1% for each month you collect Social Security before your full retirement age (up to 36 months). If you retire more than 36 months early, your Social Security benefit will be reduced by another 5/12 of 1% per extra month. What If I Want to Work in Retirement? Sometimes leaving the workforce is neither feasible nor appealing. That’s why some retirees find part-time jobs to pass the time or earn extra money. 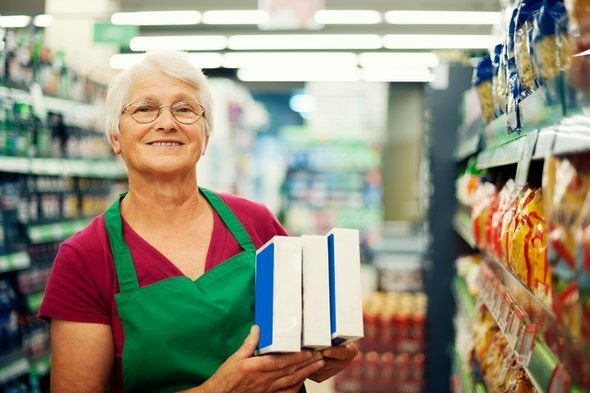 But getting a part-time job after retiring early may reduce your Social Security benefit amount until you reach your full retirement age. The SSA may withhold a certain amount of money from your benefit check if your earnings exceed the annual limit. For 2017, your benefits will be reduced by $1 for every $2 you earn above $16,920. If you’ll reach your full retirement age in 2017, your benefits will be reduced by $1 for every $3 you earn above a different limit ($44,880) up until the month you turn 67. The SSA doesn’t penalize working retirees forever. 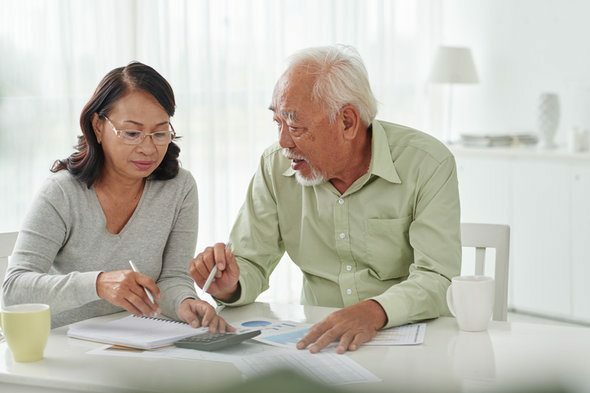 You’ll receive all of the benefits the government withheld after you reach your full retirement age and the SSA recalculates your benefit amount. Can Too Many Early Retirees Affect Social Security? Regardless of when you retire, you’ll receive around the same amount of Social Security benefits over the course of your lifetime. This is due to cost-of-living adjustments that attempt to protect seniors from inflation. In other words, Social Security balances itself out. Early retirees receive lower monthly benefits over a long period of time while late retirees receive larger benefit amounts over a short period of time. Retiring early does not affect the Social Security program’s finances because the amount of benefits available does not depend on how early or late someone retires. Not everyone can retire early. But if you’re preparing to quit your job before you reach your full retirement age, it’s important to think about how that might affect the size of your Social Security checks. If you can wait to take Social Security, you’ll end up with larger benefit checks. Whatever you choose to do, it’s best to make sure your money will last throughout your entire retirement. matching tool like SmartAsset’s SmartAdvisor can help you find a person to work with to meet your needs. First you’ll answer a series of questions about your situation and goals. Then the program will narrow down your options from thousands of advisors to up to three registered investment advisors who suit your needs. You can then read their profiles to learn more about them, interview them on the phone or in person and choose who to work with in the future. This allows you to find a good fit while the program does much of the hard work for you.